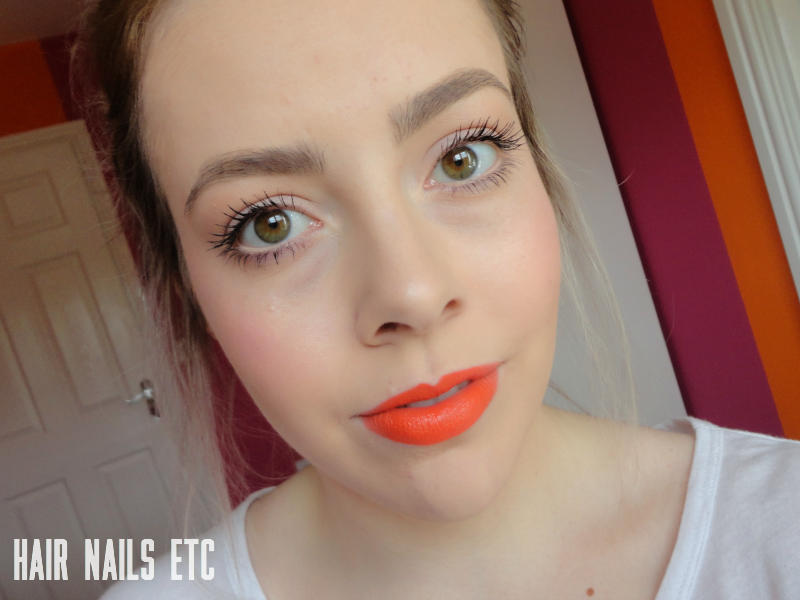 This is my first lipstick review so I apologise now for the photos! Normally I'm fairly strict with myself and don't let myself get too excited about MAC collections, because they always seem to sell out ridiculously fast and just require too much planning to obtain. 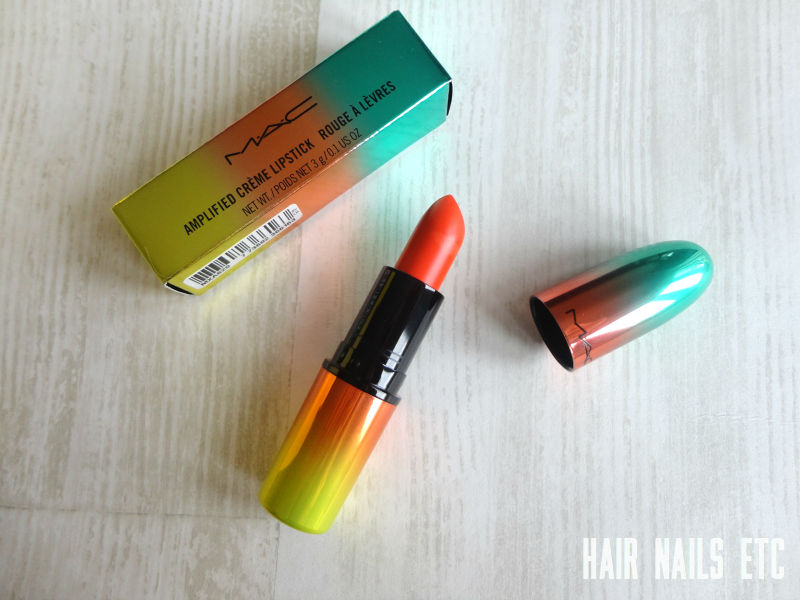 This little number however, turned out to be very easy to find; I was out shopping in the Trafford Centre recently when I walked past the MAC stand in Selfridges and saw the whole Wash and Dry collection on display, and I had this lippie in my bag in a matter of minutes! Yes I did pay a couple of pounds extra for the pretty packaging... But I think it's worth it - I'm such a fan of this gradient effect (as you know!). 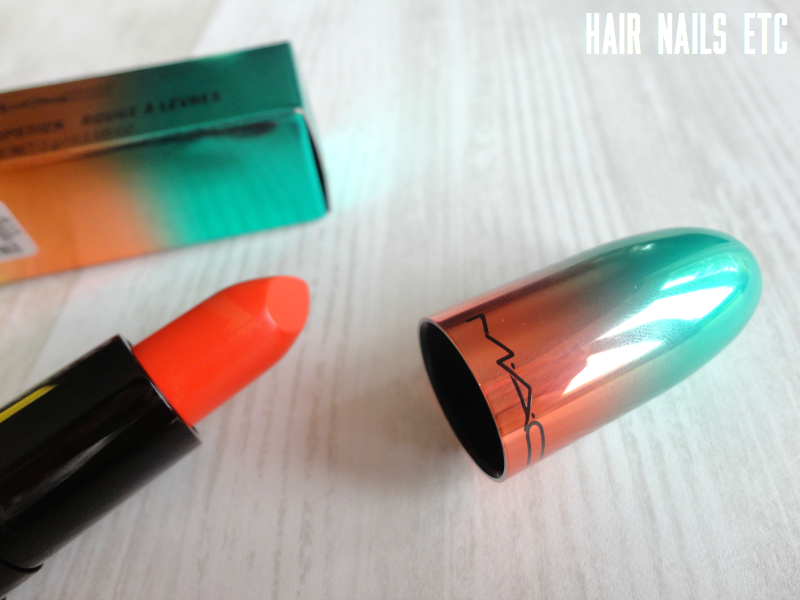 Morange is part of the permanent MAC lipstick line, so you can always get hold of it with the standard black casing. 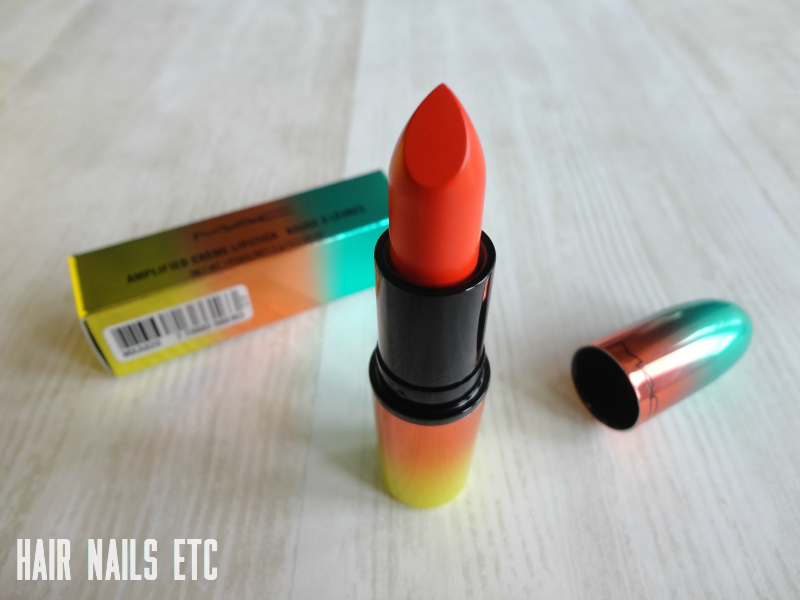 It's an Amplified Creme finish, so it's super pigmented and creamy (surprisingly), and the colour of the bullet is exactly what you get on your lips. 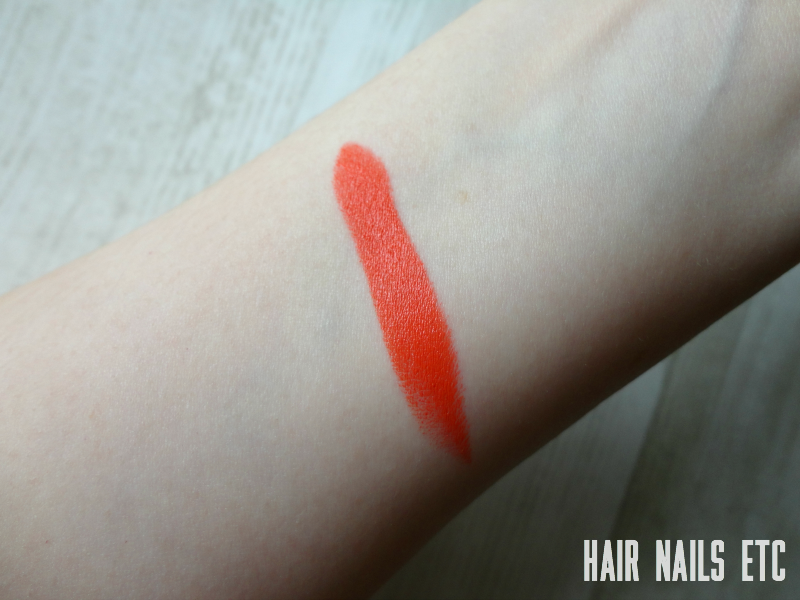 For the swatch below, I simply drew one firm swipe and you can see it's completely opaque. What do you think? 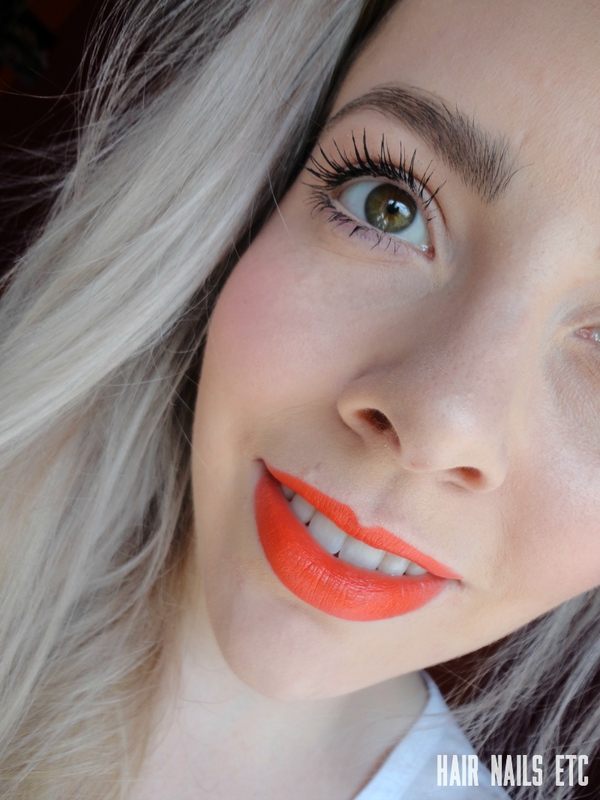 I'm open to all kinds of criticism here because I fully admit that I don't know much about wearing lipsticks, I just choose colours I like! Did you pick up anything from the MAC Wash & Dry Collection? 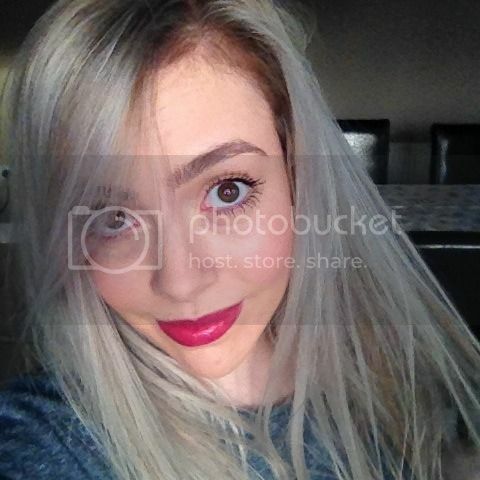 This is a nice lippy. Nice and bold!